The goal here is to unite the fragmented eco friendly environmentally conscious and enlightened citizens from around the world. I believe we CAN accomplish this by providing a free vibrant communication forum and publishing platform for the Amateur and Professional critical thinkers and writers among us. These blogging and reporting members will become Eco Delegate Representatives of the United Nations Of Eco Friendly Green Citizens for their particular country, region or location. The Delegates will publish pages on the site by blogging and reporting on global or local issues that affect the people of their area and they will be assisted by the feedback, comments, thoughts and opinions posted on their topic pages by the others in our community. 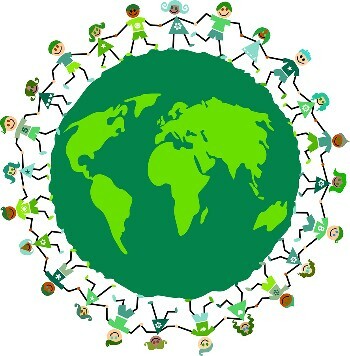 If you normally find yourself having LOTS to say about green, ecological, political and environmental issues, signup to become an Eco Delegate to represent your country and region in the United Nations of Green Eco Friendly Citizens now! The rest of the community that does not feel inclined to publish entire pages of thoughts about the issues on a regular basis, can still contribute in a BIG way by actively participating as a Citizen Constituent. This is where you can communicate with other visitors in your region or collaborate and share with any or all of the Eco Delegates abroad, especially the ones representing your country, to assist with driving perception, debate, conversation and activism on the environmental issues and challenges of the day in local, regional and international areas around the globe. YOUR comments to the pages and reports that the Eco Delegates create and publish here will be a critical component to establishing a vibrant and influential eco community. As a Green Citizen Constituent you will still have FULL PAGE publishing opportunities, you simply will not be expected to post full pages on a regular basis. 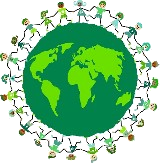 You may create your own Declaration of Eco-Friendliness Personal Story Profile Page, and as a Citizen Constituent Contributor you can also post your Eco Friendly OR Unfriendly Confessions and if you find yourself full of thoughts or feelings to express on a particular environmental issue, you are encouraged to contribute a full page in the General Assembly Forum lower on this page. All of these full page contributing opportunities can be published complete with text, a photo and embedded videos if you wish to get creative. The main reason for developing several options to create the previously mentioned pages, is so other visitors and community members will have a chance to get to know Citizen Constituent as much as we will know the Eco Delegates. It would be difficult to become familiar with someone relying ONLY on reviewing their comments on a particular Eco Delegate's published pages. Individual National Assembly Forums Were Created To Unite Eco Friendly Citizens Within Specific Countries & Ultimately All Green Citizens of The World! The Worldwide Green Citizen General Assembly Forum below is not complete without hearing what you have to say about the issues and challenges that the Earth is up against. So, here is your chance to chime-in on this wild effort! 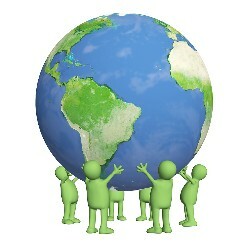 Is the United Nations Of Eco Friendly Citizens & Delegates a GREAT idea? Can we make a difference as we grow large enough? 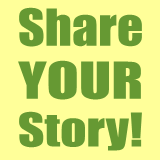 What are your personal Top 3 environmental issues that you care about? I would love to know what you think and please include your suggestions on going forward with this project as well. Tell The Community Your Top 3 Environmental Issues, Your Honest Opinion Or Feelings About Developing The United Nations Of Eco Friendly Citizens & Delegates Idea AND Whether You Will Contribute As A Delegate Or Active Citizen Constituent? Include your best thoughts or a "summary" in the first couple of lines of text, because the title and these first two lines will be displayed in the "Here Is What Other Visitors Have Said About Their Top 3 Eco Issues And The Development Of The United Nations Of Eco Friendly Citizens & Delegates Members Community Idea" posting section archive below on this page. Upload a picture if you want to and also include a good eco friendly "green" caption about the photo. To add a video that is already online, simply include the "embed code" in your Submission.